A few days ago a politically active neighbor suggested I listen to an interview on WAMC Northeast Public Radio about Trump, the Russian intelligence services, and the hacking of the DNC. 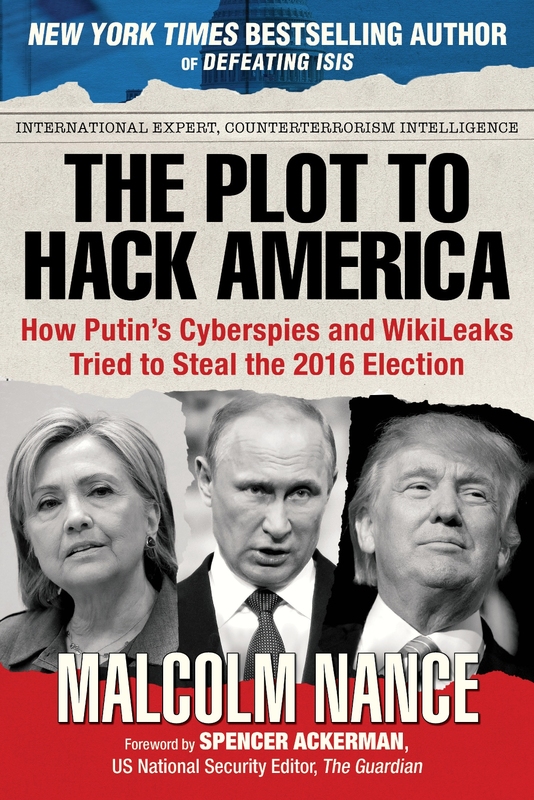 In the interview, Malcolm Nance, counter-terrorism expert, former intelligence officer, and author of “The Plot to Hack America,” provides details and background about the hacking scandal and poses questions about Trump’s relationship with the Russians. The interview reveals details and context I had not heard or read in reports coming out of mainstream media. At a time when I thought nothing I could learn about Donald Trump could shake my confidence in this past election any more deeply, after listening to Nance I can say that without a doubt I am shaken even more. And now, in spite of the revelations and suspicions about a further connection between Trump and the Russians, the uninterruptable, sickening countdown to Trump’s inauguration continues to tick away. A second countdown has commenced as well. That is the countdown to the day when the American public will have the complete facts (yes, facts still do exist even if Trump world wants us to believe otherwise) about Donald Trump’s and the Trump campaign’s alleged involvement with the Russian effort to influence the results of the 2016 election. To get to that day, it is imperative that our elected officials—whatever their political stripes—demonstrate the courage to fully investigate those facts and allegations wherever they may lead. The question is: Will a full and honest investigation proceed without political partisanship or politically motivated attempts to obstruct the truth? The answer at this moment is uncertain. However, as individual citizens we can take our own steps to make sure we are as well informed as possible about what’s going on behind the headlines. The first order of business is to inform ourselves about what is alleged and what can be verified at this time. What can our intelligence agencies and the FBI tell us with certainty about the Russian connection to Trump, his campaign, and some of his cabinet appointees? To make sense of what information is out there at this time, the interview with Malcolm Nance is a serious and thought-provoking starting point. I recommend that everyone—even those who voted for Trump—listen with an open mind to Nance’s observations about Russian cyber warfare and what Nance calls the possible Russian co-opting of Donald Trump. For those who, like me, shudder to think that the unthinkable has occurred—that a president-elect may have been complicit with a foreign power intent on undermining our most cherished democratic institutions—Nance’s interview is a wake-up call that should not be ignored.